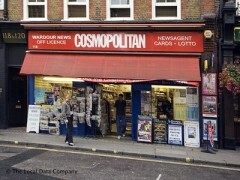 About: Wardour News sell newspapers and magazines as well as a selection of greeting cards, stationery, mobile top cards and international phone cards. They also sell National Lottery tickets, scratch cards and cigarettes. Add more details about your business or tell us about incorrect details using these buttons.